Portrait of bollywood film actress Sridevi. 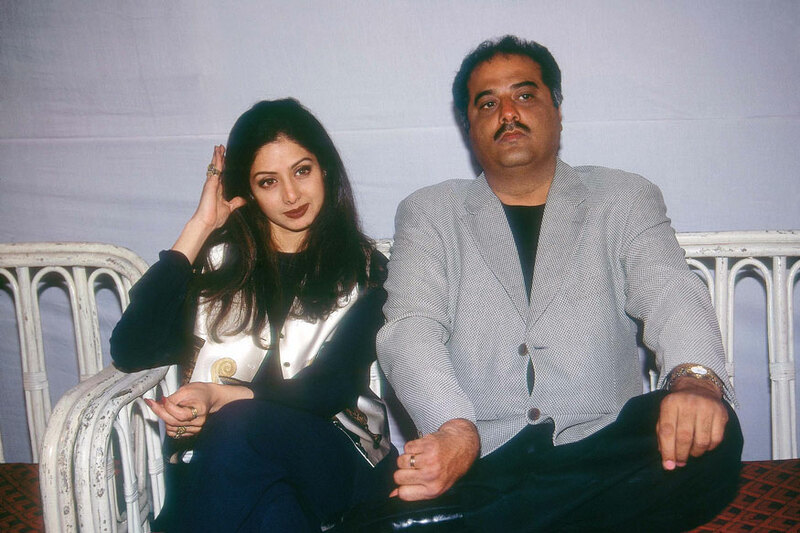 Film Director Boney kapoor sitting with his wife Sridevi. 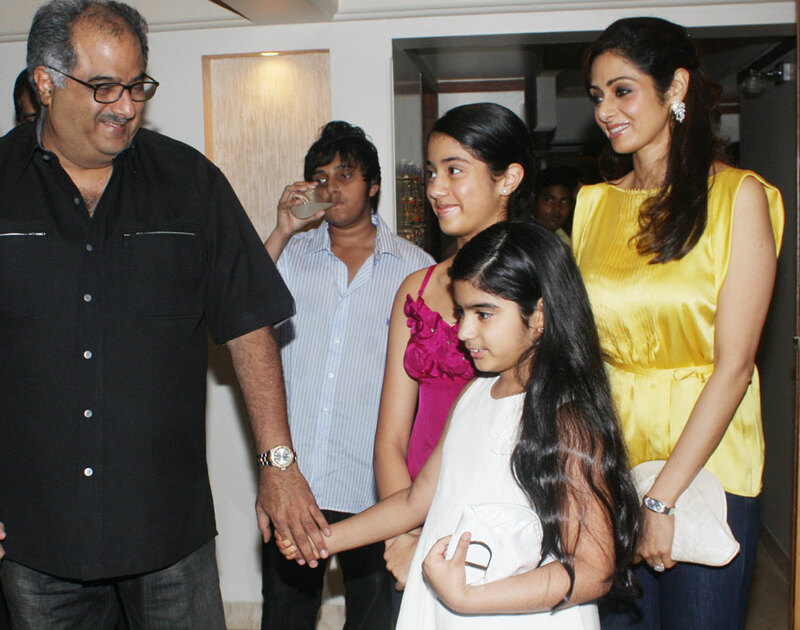 Boney Kapoor is seen with wife Sridevi and kids at an event in Mumbai. 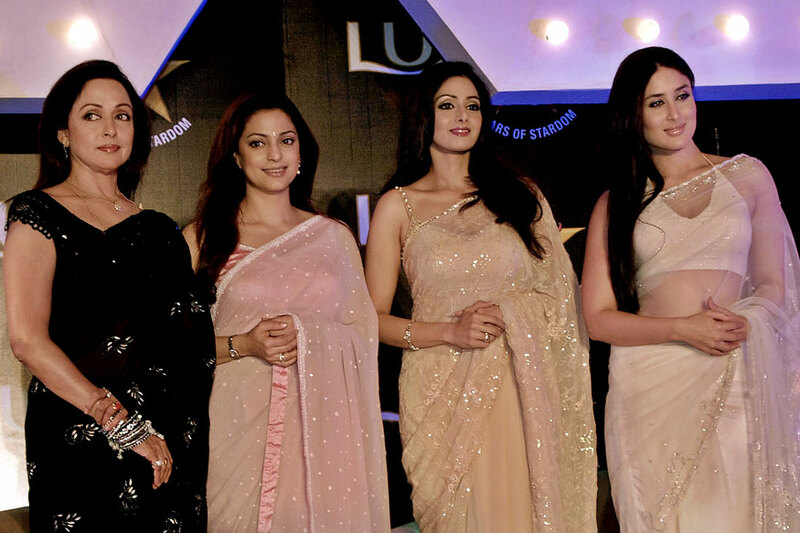 Bollywood actresses Hema Malini, Juhi Chawla, Sridevi and Kareena Kapoor pose for photographers during a promotional event for a beauty product in Mumbai. 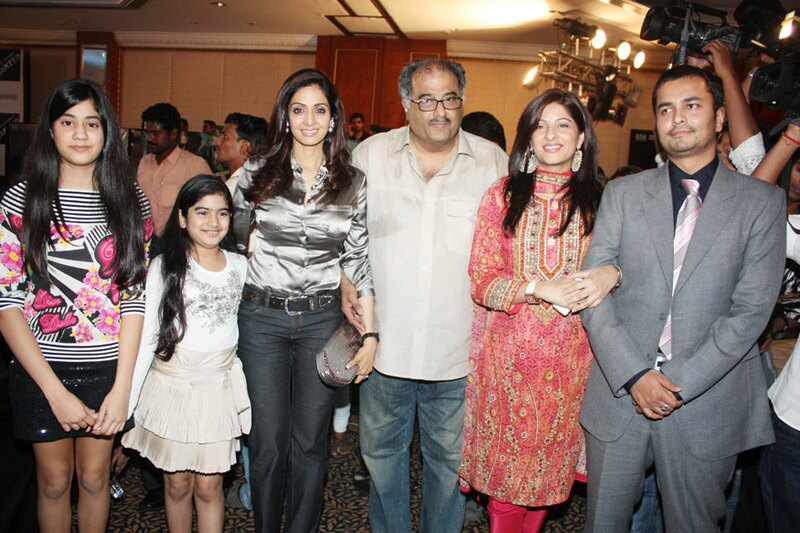 Sridevi with her daughters and Boney Kapoor at a press conference for Boney Kapoor's film Wanted in Mumbai. Bollywood actor Rishi Kapoor and actress Sridevi display their lifetime achievement awards received at the Ficci-Frames 2008 in Mumbai. 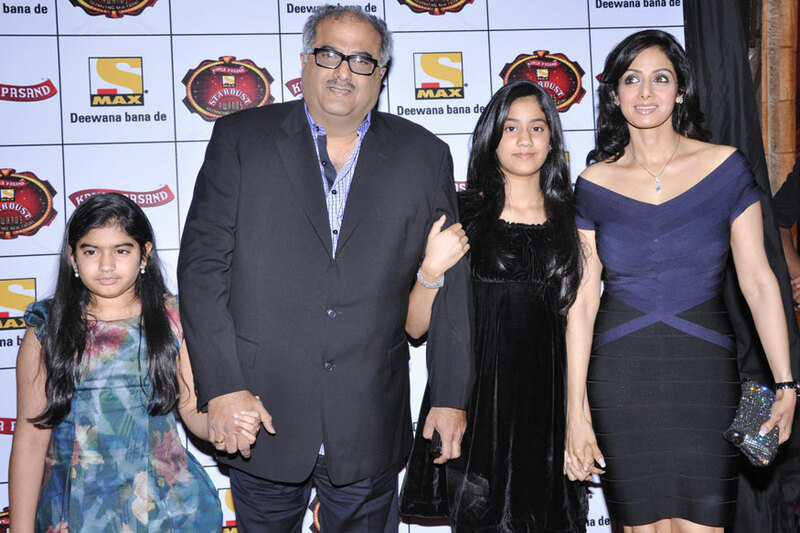 Boney Kapoor with wife Sridevi and his two daughters at the Max Stardust Awards 2010 at Bandra Kurla Complex Grounds. Sridevi visits a patient at the Antaki Hospital on the sidelines of the 12th Marrakech International Film Festival in Marrakech. Bollywood Actor Sridevi attends the Lakme India Fashion Week Autumn/Winter 2009 at Grand Hyatt in Mumbai. 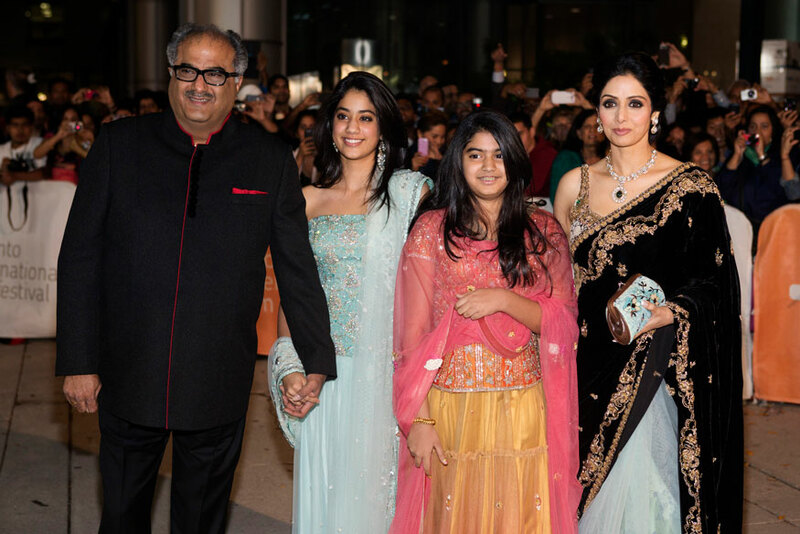 Sridevi arrives for the gala presentation of "English Vinglish" at the 37th Toronto International Film Festival. Actress Sridevi Kapoor arrives with her husband Boney and daughters Jhanvi and Khushi for the gala presentation of "English Vinglish" at the 37th Toronto International Film Festival. Atal Bihari Vajpayee shares a laugh with film actresses Sridevi and Aishwarya Rai in New Delhi. Bollywood actress Anushka Sharma receives an award for the best performance in a supporting role from actress Sridevi at the 14th annual International Indian Film Academy (IIFA) awards show in Macau.